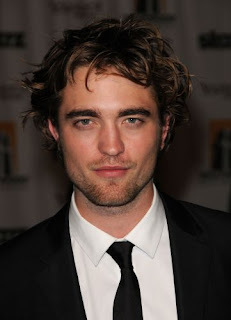 Robert was born on May 13 1986 in London! He enjoys music and is an excellent musician, playing both the guitar and piano.In 2003, Robert took on the role of Cedric Diggory in Harry Potter and the Goblet of Fire (2005). He got his role a week later after meeting Mike Newell in late 2003. Come on, you know you love him? We all love Edward so of course he is lovable! Did you know he beat out 3000 other guys for the role of Edward? Wow!!!! I will be going to see New Moon on Tuesday, I hope it amazes me! Even if you were a real vampire Robert, I'd still be your Bella any day, any time of the week!!! Your my boyfriend always!!! He could be my boyfriend any and every week if he wanted too! I still have shivers from the New Moon movie, he is just so hot in it! I've gotta say, I was more of a Team Jacob fan in New Moon (swoon! ), but I still have a soft spot for Edward. you have to see new moon...in the books i'm team edward but in the movies i'm totally team jacob! New moon wasn't to bad..Not a huge Robert fan..I like the edward character well enough but think it should have been someone else playing him. I love Jacob's character and Taylor is just adorable.